Home > SEO > How To Optimize Images For Search Engines? SEO (Search Engine Optimization) is a major matter for a blog. The correct and proper search engine optimization can easily increase blog traffic. Beside your blog post optimization you have to focus on your blog post images. Because, as like you, a huge amount of daily visitor search for images, icons and wallpapers from Google image search engine, yahoo image search and other big search engines. Google and other search engine robots can not read image file, so it is necessary to add an image alt tag and title to the image to tell search engine robots what an image about. When search engine crawl your blog images it can easily understand your image by reading your image alt tag and title description, and your images will be index in search engine directory quickly, and then you will be getting traffic to your blog through image search also. In this post we are going to share with you about image optimization for search engines. What is image ALT and Title attribute? Image alt tag is a simple HTML code which is attached with HTML image code. Search engine robots can't read graphics. This simple and easy code helps to tell search robots what the image is about. On the other hand, Image Title is also a HTML code that shows image description on mouse hover. After adding title tag in your images your blog visitors can see the texts as description when they roll over your images. 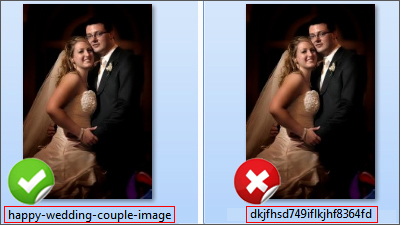 The first and must doing thing is adding image alt tag to your post images. 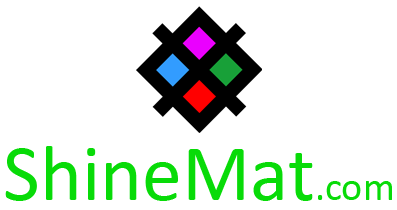 Image alt attribute helps search engine bots to know about the images. The second important rule is adding image title code. As like image alt tag, image title also important for seo. Image title tag will also show as your image description. No doubt, it will look more professional. Insert your desired keyword phrase in your image name with hyphen (-). Never upload images that contains useless name. Resize your post images as per your post body width. If you don't do this, your blog become slow for big images. You can use Adobe Photoshop to resize your images. For example: If your post body width size is 500px, then make sure your all post images are not exceed 500px in width. Compress your images before uploading. Nowadays site loading speed is an important part in SEO. So don't forget to reduce your image file size as possible as you can. You can compress and save your images using Photoshop very easily. Choosing right images as matching your post topic is very essential. Because nobody will find your images if you select non matched images. Such as: Your post is about laptops and you select images of desktop pc. This is not correct at all. Never use your blog post title as your image alt tag, because when search engine robots crawl your blog it can easily read your blog post title and other plain texts. So it is not recommended to use a same line twice time. ALSO READ: How To Find All Linked URL’s To A Website? Never use samples and some special characters in image alt, title and name. Such as #, $, %, ^, &, *, !, +, _, ☻, ☺, ☼, ♂, ♫, ♥, ∞, ♣, Ω, ▲ etc. Try to use best quality keyword. But keep in mind it should not be big. Keep in mind that your image alt tag has not any grammatical and spelling mistakes. 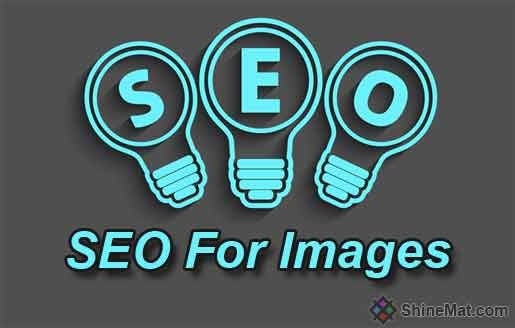 For Image 1: "Optimizing blog image"
For Image 2: "SEO for blogger images"
For Image 3: "Best tips for image SEO" etc. Enjoy To Read: How To Resubmit Crawl Errors In Google Webmaster Tools? That's all buddy! Please let me know if you have any question regarding image optimization. Have a nice day! Use full tutorials on image optimization it's also work so much if your image is properly optimize according to search engine policy.